PSG superstar Neymar was left heartbroken this evening after he suffered what looks like a potentially serious foot injury in PSG’s French Cup Round of 32 tie. 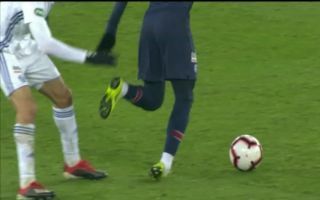 Neymar was brought off in the 62nd minute of the clash, at a first glance it looks as though Neymar may have severely injured his right ankle after a tough challenge from one of RC Strasbourg’s players. Neymar left the pitch in tears which of course suggest that this injury might just be as bad as it looks. PSG will be hoping that there posterboy will be fine as they will need every ounce of his abilities to overcome Manchester United when the sides meet in the Champions League Round of 16 . The first leg of the tie will be played in Manchester on January 12th.